The true test of an artist flourishing at the mid-level of the industry is the flexibility to adapt to a variety of formats and surroundings. 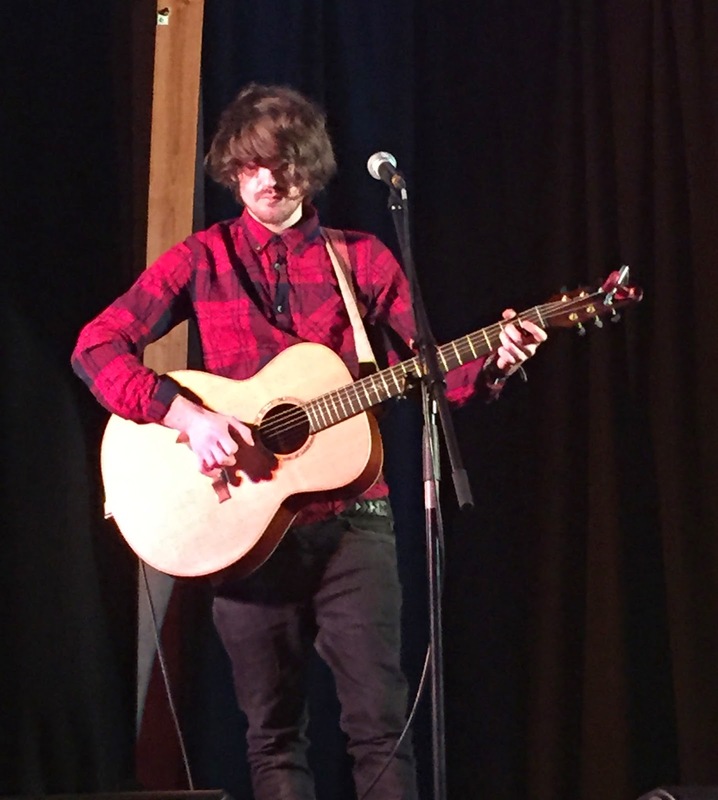 After excelling with his band last year, including a cracking Birmingham date, Blair Dunlop showed at this village hall gig how to conduct a solo show with enlightenment, flair, wit and an abundance of skill. It was almost a year to the day since Blair played the very same venue alongside his illustrious father, but this evening Ashley Hutchings was consigned to a few mentions as his son oozed with heaps of confidence and panache. With the help of something old, traditional, borrowed, newish and very new, Blair entertained a committed audience with a twin pair of symmetrical sets, reflective in both their length and quality. Not only pulling material from his two albums to date, this extended slot of a solo Blair saw more background chat about the songs which perfectly complemented the occasional outbreaks of dry impish wit. A precious constant across both sets was the lauded guitar playing which expertly adorned a pair of non-Blair tunes, the traditional 16th century harp piece ‘Si Bheag Si Mhor’ and the more contemporary Richard Thompson masterpiece ‘1952 Vincent Black Lightning'. Alongside what are now becoming old Blair Dunlop favourites, ‘Secret Theatre’ and ‘Blight and Blossom’, both from the album title of the latter, some of the songs from his ‘newish’ album (2014’s HOUSE OF JACKS) got an insightful airing. These included the generational club songs ‘45s (C’69) and ‘45s (C’14)’ alongside the philosophical ‘Chain By Design’ and the demo-like titled ‘Fifty Shades of Blue’. The track ‘Song of Two Bridges’, also from the latest album, is actually an Ashley penned song, one of the best on the album and it returned to the scene where it was sang live by the pair last year. The evening was brought about by some local enthusiasts with the help of the Shindig organisation operating under the wider Live and Local banner showing how quality roots music can be promoted right into the heart of our rural communities. Alongside the two Blair dates, the same venue successfully entertained Canadian fiddle and roots supremo April Verch in 2013. All have been reasonably well attended with turnouts the envy of some places promoting gigs in more populous areas. It was noted when seeing Blair play with his band last year how a more Americana rock sound was mixed with his undeniable folk credentials, and during this show he referenced the influence the West Coast sound has had on him. This culminated during the evening in a cover of Jackson Browne’s ‘These Days’ and an example of the self-exploration that seeps into Blair’s music. Having officially documented the latest album as ‘newish’, Blair chose to share a couple of newer songs which are earmarked for the next release, although this is very much in its embryonic state and likely to materialise in 2016. Of the pair previewed, ‘Castello’, based on his Italian experiences, made the more profound early effect, without doing the fine ‘First World Problems’ any disservice. While the seeds of the next album are growing, 2015 will no doubt see a very active Blair Dunlop still promoting HOUSE OF JACKS and appearing solo, with the band and perhaps a few surprise collaborations. Upon closing the evening with a requested version of ‘Flandyke Shore’, Blair promised the other request, any Bob Dylan song, when he returns to Cookley again. 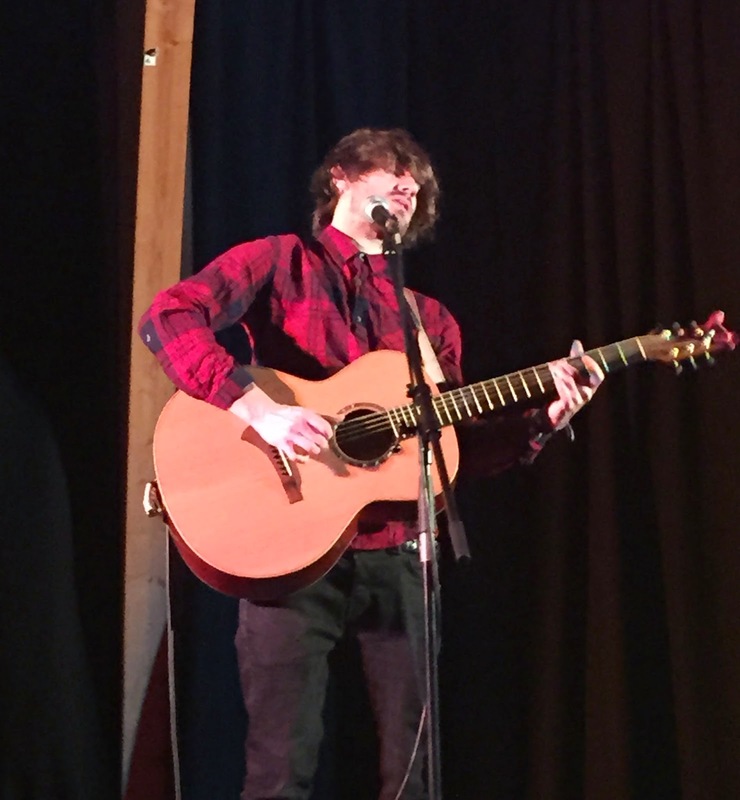 One thing for sure is whatever the talented Blair Dunlop puts his hand to will be a success and this consummate performer is certain to continue to prosper in the future.